Experience Casa Cobre, so named because of its unique copper clad entry canopy and front door, where you can comfortably immerse yourself in the spirit and enchantment only Taos, New Mexico has to offer - picturesque landscape filled with chamisa and sage and dotted with distant adobe dwellings, clouds that dramatically roll in the late afternoon and sunsets with color that lingers after sunsets turning the east Sangre de Christo Mountains into breathtaking crimson aspen-glow. 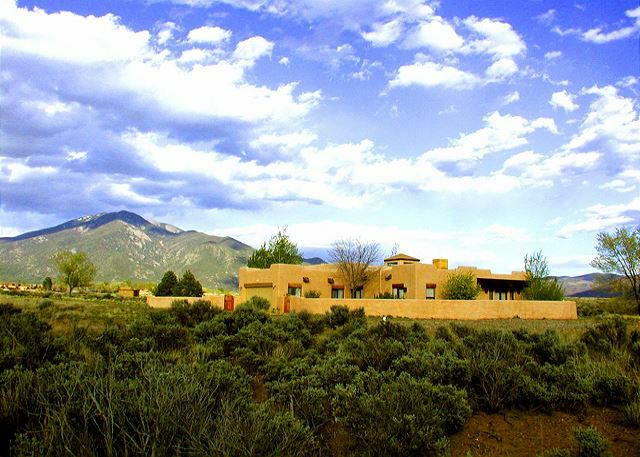 You can view the drama as the new day unfolds and Taos Mountain emerges in full view from the over sized south and east facing windows found in the home's spacious yet cozy sunken living room. 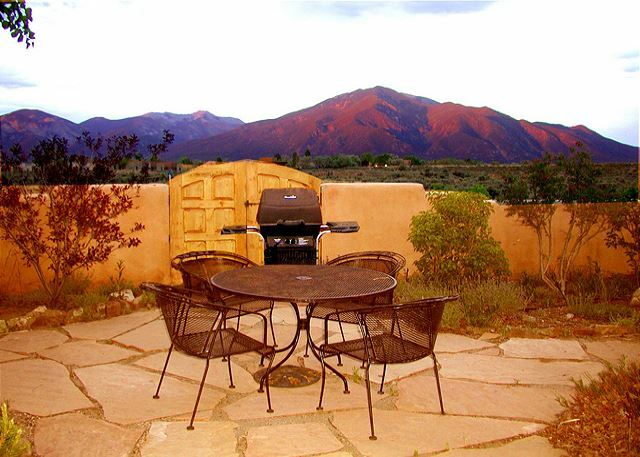 Have your morning coffee with the full view of the Taos Mountain in the dining room or take a few steps out the dining room doors to the flagstone patio with private gardens enclosed by an extensive adobe wall with quaint wooden gates and enjoy the solitude of the wide open vistas. A centrally located cupola with clerestory windows facing all directions provides light to the house. 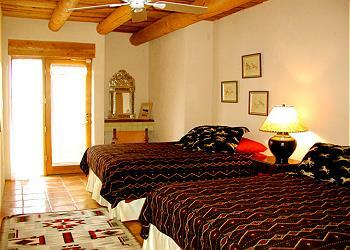 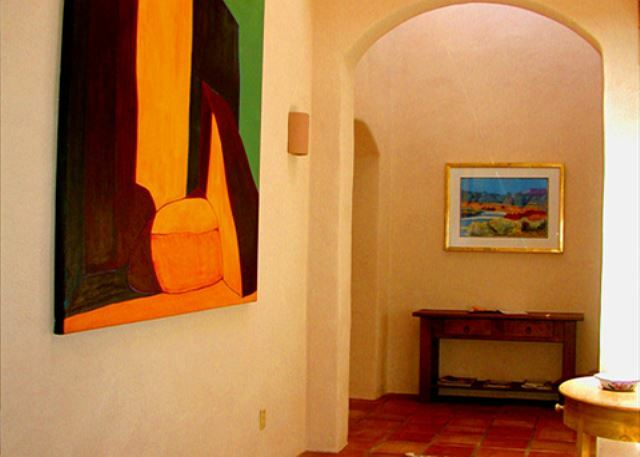 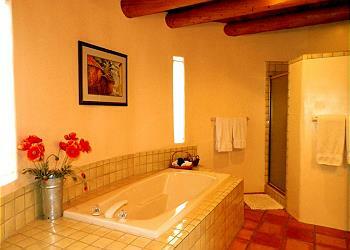 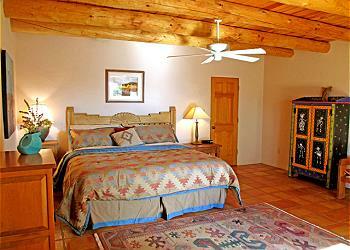 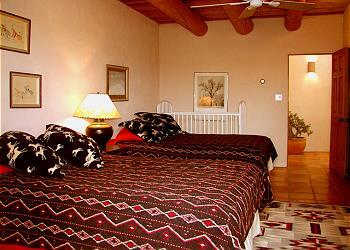 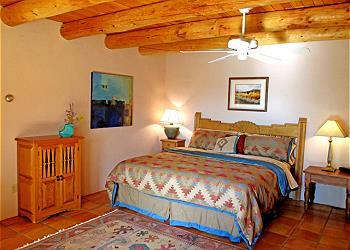 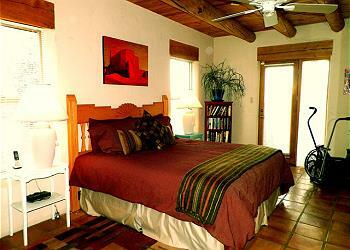 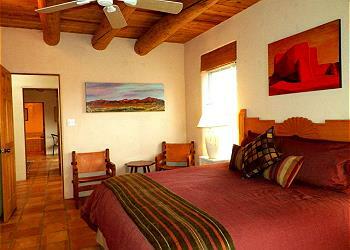 The house has three spacious master bedrooms, each with a private bath (in addition to a half-bath for visitors). All rooms have their own outside/inside access to the walled gardens and patios allowing several couples or families to co-exist with privacy. 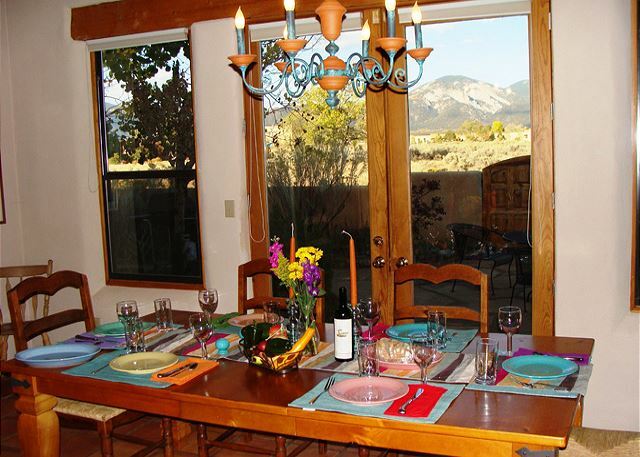 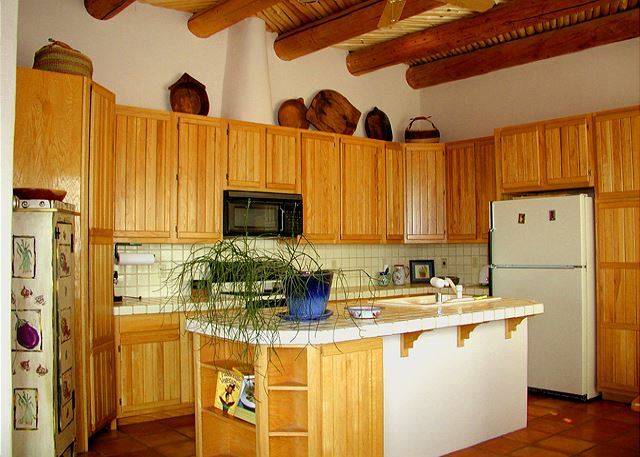 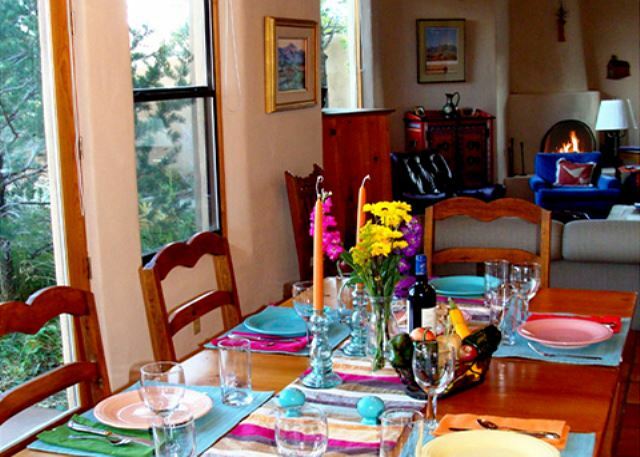 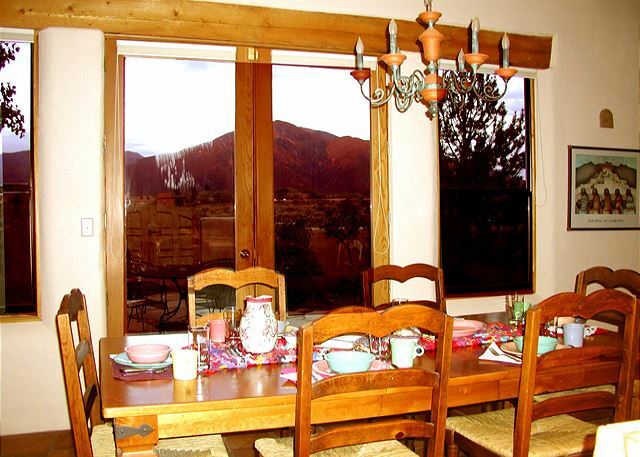 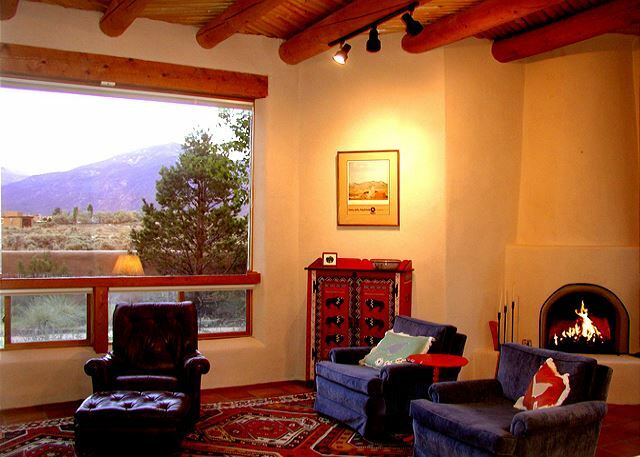 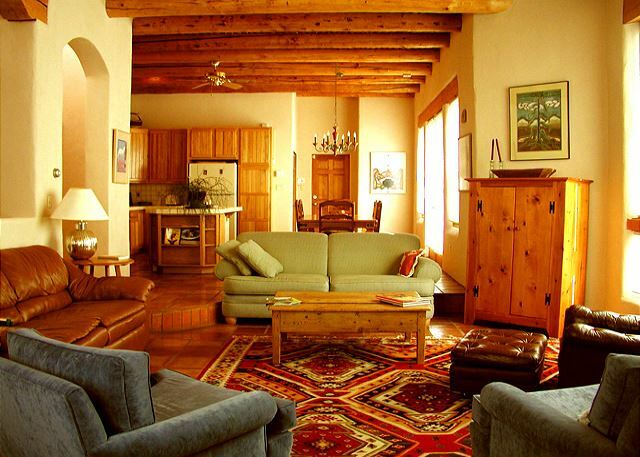 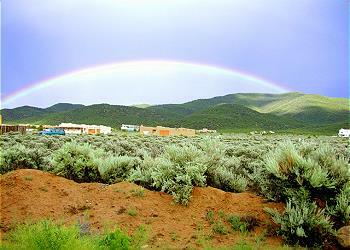 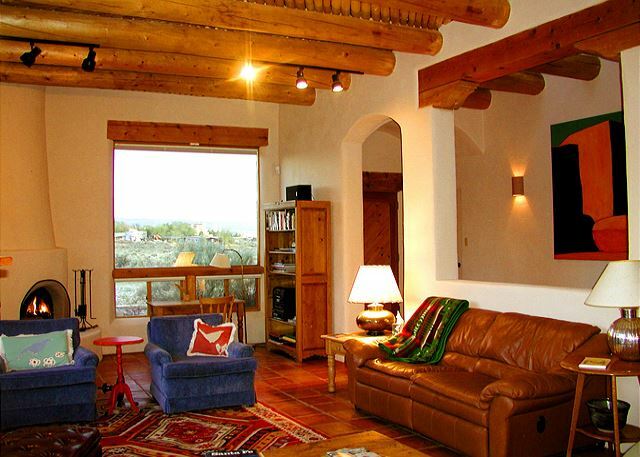 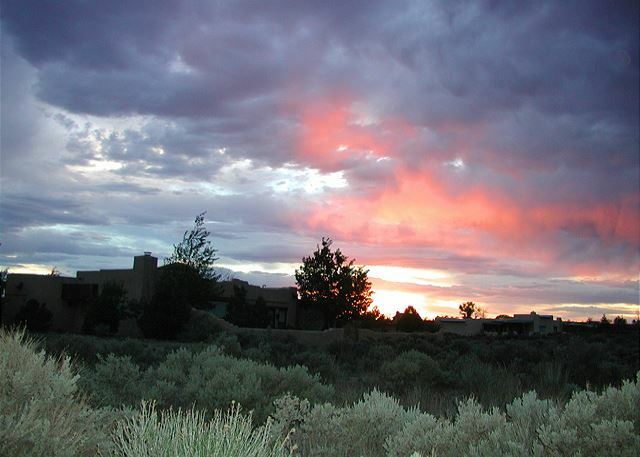 This very comfortable, light-filled Taos vacation rental home with beautiful views is located approximately four miles from the town of Taos New Mexico and 12 miles from Taos Ski Valley. 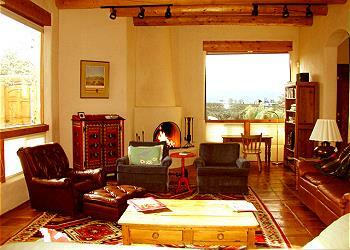 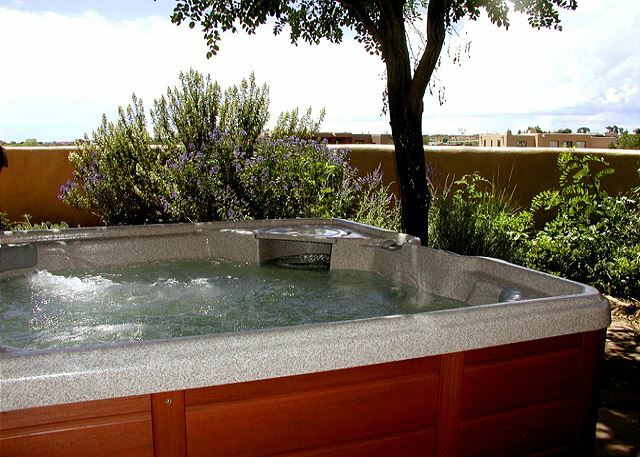 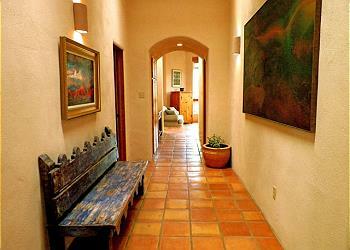 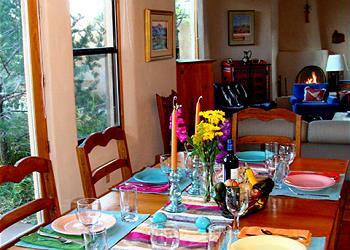 Centrally located and brilliantly designed this home is a true vacation lodging winner!